The problem of drowsy driving has reached such levels that it now has become a common cause of motor vehicle accidents. Recent reports published by the National Sleep Foundation & Governors’ Highway Safety Association (GHSA) have highlighted driving safety concerns arising out of fatigued driving. Those who are drowsy while driving have a responsibility not to pose a risk to others. If a driver falls asleep while driving and causes a collision, any victims have certain legal rights. As scary as it might sound, in a survey by the National Sleep Foundation (NSF), about 60 percent of adult drivers owned up to driving a vehicle while feeling drowsy during the previous year. If that is not scary enough, about 37 percent (approximately 103 million American drivers) reveal they actually fell asleep while driving. The effect of insufficient sleep on the brain is similar to the effect of alcohol use. Another study found that lack of sleep for eighteen straight hours may produce similar effects as a 0.05 percent blood alcohol level (BAC). And a BAC level of 0.10 percent is equivalent to being awake for a complete twenty-four hours. The likelihood of drivers who sleep about six to seven hours every night causing a crash is doubled, compared to those who sleep eight or more hours a night, according to the AAA Foundation for Traffic Safety. The situation is even worse in the case of drivers who sleep five or fewer hours a night. These drivers are about five times more likely to cause an accident. Driver fatigue is a major factor in about 100,000 accidents reported by police annually, according to the National Highway Traffic Safety Administration (NHTSA). More than 70,000 injuries and 1,500 deaths are said to result from such crashes. The latest report from GHSA reveals that almost 83.6 million sleep-deprived Americans are driving their vehicles on U.S. roads every day. It is estimated that last year, 5,000 people were killed in drowsy driving accidents. 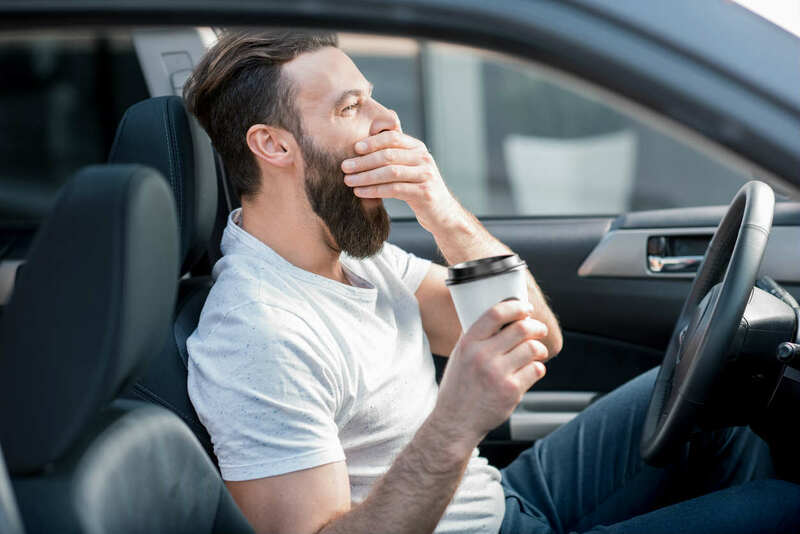 Drowsy driving can occur among any drivers, but there are certain demographic groups that are more likely to be involved in a drowsy driving accident. According to available statistics, young adults and teens are involved in over 50 percent of the drowsy driving accidents occurring each year. Night shift workers, those who work long shifts, and those who work irregular shifts are also at greater risk. (Read – Night Shift Workers at Higher Risk) Drivers with sleep disorders are also at risk. Some safety groups believe that these statistics do not reveal the actual scope of the problem. It is estimated that 2-20 percent of all fatalities are caused by drowsy driving accidents, which is a substantial discrepancy. Safety experts believe that it is difficult to gather accurate data because usually, law enforcement officers lack proper training to identify drowsy driving. Also, many people involved in crashes are afraid to reveal that drowsy driving was responsible for causing the crash. State Farm Insurance is working on wearable technology to prevent distracted and drowsy driving. They have recently patented a wearable device that is designed to alert motorists who exhibit the behavior of being tired or distracted. The alerts can be sent through smart watches, wireless headsets, or even clothes that have microprocessors fitted inside them. The device uses optic sensors to monitor a driver’s activities, such as how long the driver has been blinking and if his or her head nods. This particular device could also be used as an alcohol sensor, thermal image capture device, or a heart rate monitor to measure whether the driver is sick, drunk, or unable to drive safely. The device could also keep a check on how often the motorist checks a mirror, as checking the mirrors too frequently could be a sign of distracted driving. It could also monitor behaviors and patterns and then suggest to the driver to have a caffeinated drink if they are drowsy and still have to drive. The idea of using technology to keep drowsy or distracted drivers off the road certainly seems to be a great one; however, there are some valid criticisms as well. Many experts believe that it might not be as successful, because some drivers may not be willing to use a device to monitor their behavior just to get lower insurance rates. The technology may be of use to commercial drivers and fleet managers. Ultimately, the responsibility of safe driving lies with each driver and we cannot depend entirely on technology to eliminate risky behavior. While it may not be possible to pinpoint the exact number of fatalities caused by drowsy driving, we know for sure that thousands of people are killed as a result of drowsy or fatigued driving. Due to the fact that so many deaths result from drowsy driving, the NHTSA has altered the definition of impaired driving to accommodate fatigued driving as well. Impaired driving is now defined to include driving under the influence of drugs, drunk driving, and fatigued driving. It is important for all drivers to learn to recognize the signs of fatigued driving and to stop driving when they are not able to do so safely. If you continue to drive when you are fatigued and you cause a collision, you may be held accountable for all the losses resulting from the accident. The most important thing you can do to guard against drowsy driving is to ensure that you get sufficient sleep before laying your hands on a steering wheel. You should make sure you drive only during the period you are most active and make plans for an overnight rest should the need arise. It is also advisable to rest every 100 miles or every two hours when going on a long journey. It is equally important to make sure that you do not drink alcohol or any sleep-inducing medications, however little before you commence driving. It would be helpful to get a partner if intending to drive for a long distance. The two of you can take turns at the wheel and the other individual can help you stay awake when at the wheel. When driving alone, make sure you get your vehicle parked somewhere once you notice yourself becoming sleepy. If you have become a victim of a car accident caused by a drowsy driver, contact The Hoffmann Law Firm, L.L.C. at (314) 361-4242 for a free consultation.